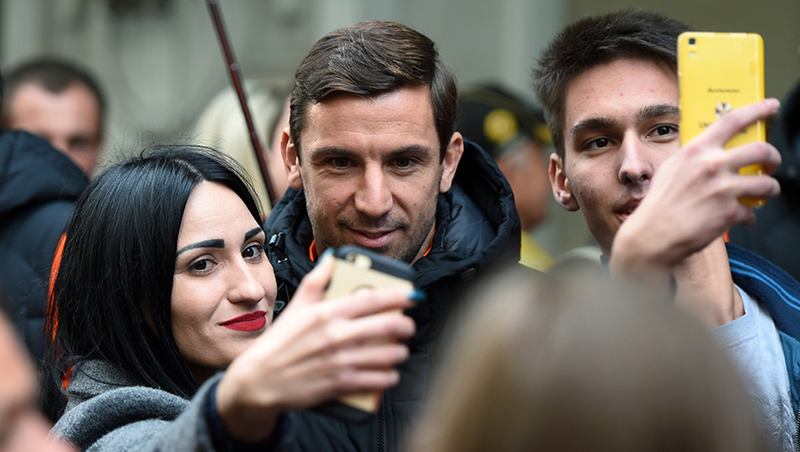 At the entrance to the hotel accommodating Shakhtar, an impressive group of fans met the players. After signing autographs and making numerous selfies with the fans, the players boarded the club bus and went to Stryiskyi park. After being charged with positive emotions, the team returned to the hotel. The Pitmen’s further schedule includes lunch, some rest and departure to the game venue. Shakhtar are playing against Braga in the white-orange kit tonight, with the opponents putting on their blue outfit. The Shakhtar vs Braga game kicks off at 20:00 (EET). You can watch the live broadcast on Ukraina and Futbol 1 channel.